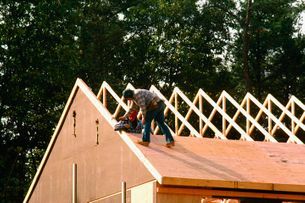 For all your roofing needs, go with the pros--Pro-Tech Roofing & Construction! When something goes wrong with your roof it can affect your home and personal comfort, even your safety. From water coming in and damaging flooring and personal artifacts, to compromising the structural integrity of your home, we’ve got it covered! At Pro-Tech Roofing & Construction, we’re here for all your roofing projects, from start to finish. We offer services from Kentville and Windsor to Bridgetown. We’re so sure you’ll be satisfied by our roofing work, we give every residential and commercial customer a written guarantee. 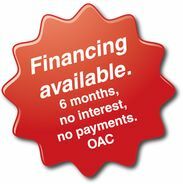 We have financing options and seniors discounts available. At Pro-Tech Roofing & Construction, we are fully insured, meet all Worker's Compensation Board (WCB) criteria, as well as highly accredited by the Better Business Bureau (BBB). When our customers are happy, it makes us happy as well. We are consistently noted for our politeness and quality work. Also, we leave a job site as clean as before we arrived. This includes picking up construction materials and magnetically retrieving nails and metal debris. Pro-Tech is here to help with your residential and commercial shingling, flat roofing, metal roofing, framing, asphalt and re-roofing needs. We offer 24/7 emergency repairs! Ask about a free estimate and how you can get a free upgrade on your shingles!